The tour lasts approximately 2 hours and 20 minutes. 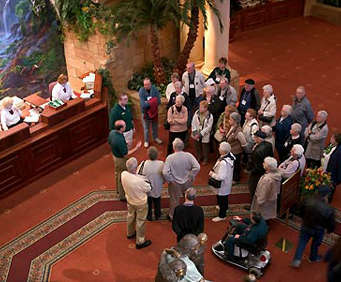 The price of the show also includes a walking tour. 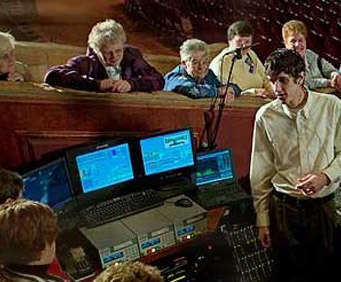 Sight & Sounds Theatre Branson is one of the area's highlights and now you'll have the chance to explore how the shows such as Joseph and Miracle of Christmas come together with an in-depth Behind The Scenes Tour of Sight & Sound Theatre Branson. 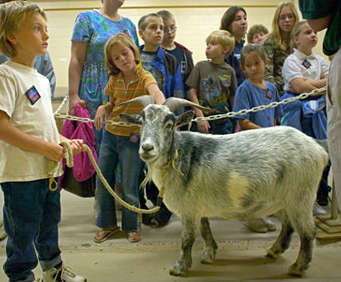 Along the tour, you'll witness what it takes to care for and work with the animals in the theatre's productions, learn how the amazing light displays are controlled, and even look into a scene shop as the theater bounces around ideas for new shows! With one million watts of lighting, 60,000 watts of sound, and a mammoth twenty-thousand square foot stage, the theatre is truly one of the most in the Ozarks, and now you can view the day-to-day operations of it all with the Behind The Scenes Tour of Sight & Sound Theatre Branson! Glad we did this. Amazing place. And the attitude if the workers was and is great. Wonderful, experienced guides. Very informative. Probably just as good as the show itself in a different way. Knowing what happened behind the scenes before we watched the show really enlightened the experience.